Denise Walser-Kolar earned her Bachelor’s Degree in Graphic Design and Commercial Illustration from the College of Visual Arts in Saint Paul, MN. 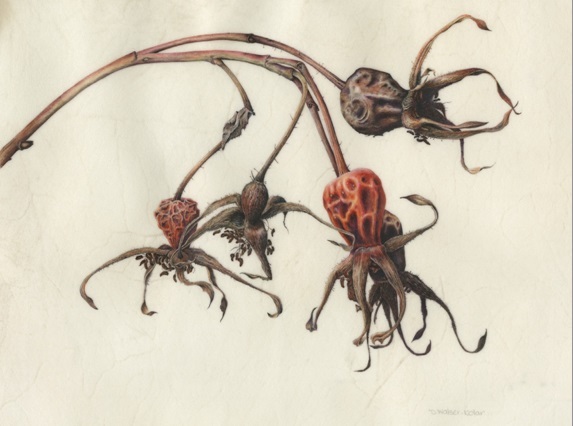 Her work has been exhibited at the Hunt Institute for Botanical Documentation, the 11th & 12th Annual International Juried Botanical Art Exhibitions presented by ASBA, The American Society of Botanical Artists and The Horticultural Society of New York, and Focus on Nature XI at the New York State Museum. In 2011, she was awarded a Silver-Gilt Medal by the Royal Horticultural Society in London for her series of paintings of The Hybrid Hazelnuts of Badgersett Research Farm. 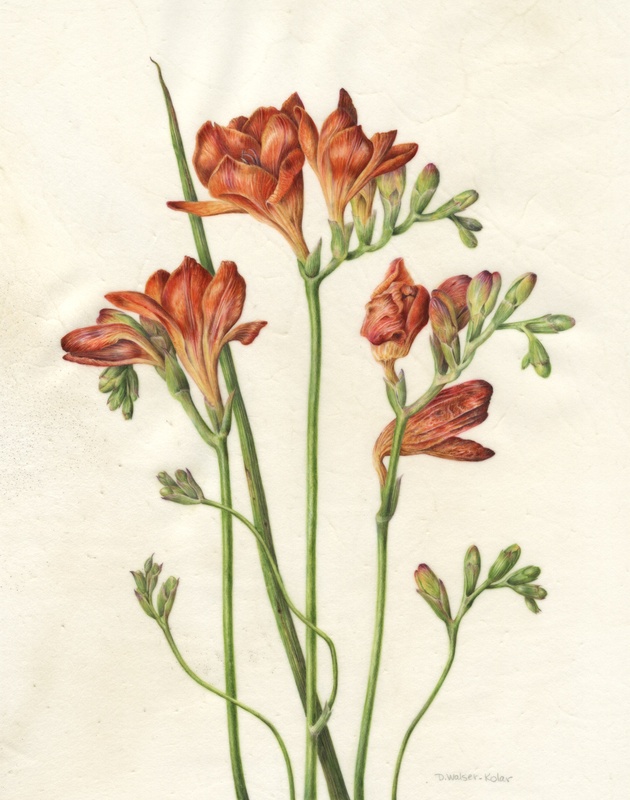 Her work is held in the permanent collection of the Hunt Institute for Botanical Documentation. Denise is represented by Susan Frei Nathan Fine Works on Paper.